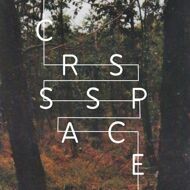 Crssspace is a young creative beatmaker from Leipzig, active in many forms as like being part of the Overdubclub, organizing partys with the Tapedeck Ensemble, playing jams with the band Entropy Sessions or simply producing beat tapes with his label Pattern Select. Catching us with his artistic flippy sound on the SP we are happy to announce his first own beat tape with 18 trippy tracks. Pumped through an old Mackie mixer and produced on tape for your raw sound pleasure.